This attractive double-fronted detached house provides the perfect welcome home. This picture perfect, contemporary four bedroom home features over 1,500 square feet of modern-day living space. Platinum features include integrated appliances, driveway, bi-folding doors opening onto the lawned garden and patio area. A truly stunning family home. Welcome to Beechwood Grove. 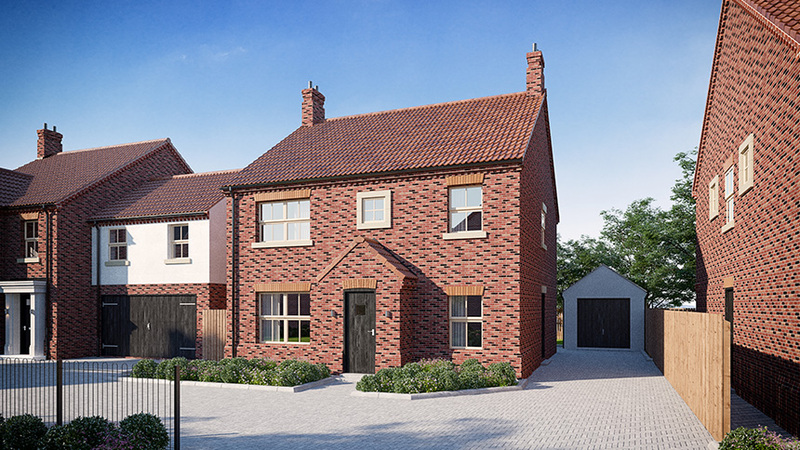 Contemporary homes with a countryside feel in the heart of the charming East Riding market town of Driffield. Beechwood Grove is a new development of 19 individually designed, beautifully constructed homes perfect for modern living. Situated in a natural conservation area, the development is surrounded by mature trees and traditional brick walls, giving it an intimate countryside feel while a 10-minute walk takes you to Driffield’s bustling high street. Luxurious but affordable in an unrivalled market town location, choose from a two, three or four-bedroom home, each individually designed with you in mind. Modern country living in the beating heart of the Yorkshire Wolds, Beechwood Grove is the perfect place to make your home. An unrivalled market town, close to countryside and coast. Described as an “unpretentious, rural market town” by Yorkshire Life. Set in idyllic countryside, the East Riding market town of Driffield is the beating heart of the Yorkshire Wolds. From a bustling high street with weekly markets and award-winning shops to neighbouring stately homes and gardens to explore, Driffield has its own unique charm. The Riverhead, with its converted warehouses and newly restored town lock, is a focal point of the town, alongside a host of pubs, restaurants and cafes to choose from. Situated between York, Bridlington and Beverley, Driffield’s true charm is its close proximity to both the coast and countryside. With a train station offering direct routes to cities and the coast, plus an excellent road network, the area is perfectly positioned for both commuting and exploring. Beechwood Grove is located off Anderson Street, close to the centre of Driffield. Driffield train station is a six-minute walk away, providing regular transport to Hull, Scarborough, Bridlington and Doncaster. The nearest airport is Leeds Bradford Airport, 1hr 30 mins drive away.